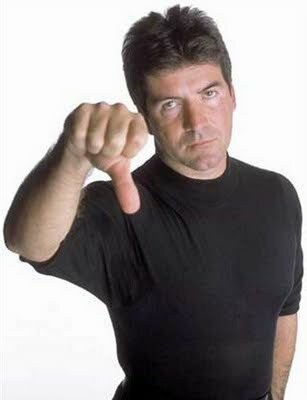 As Christians we have a dreadful habit of confusing God with Simon Cowell. (No doubt some would say Cowell has the same problem.) We turn the Christian life into a performance—with all the anxiety and fear of wondering what God thinks of our lives, followed either by the pride of success or the despair of failure. Though we acknowledge that salvation is by grace through faith (Eph. 2:8-9), we subtly begin to base our significance and value before God on who we are and what we do—hoping beyond hope to win his approval and keep up the show despite knowing all too well our own weakness and sin. Before too long, we’re more worried about what others think of us than God. So we leverage our status, draw attention to our strengths, and conceal our insufficiencies, seeking to gain and maintain the approval of others. Ironically, we’re not that unlike the kinds of counterfeit Christianities that the apostle Paul warned us against in Philippians 3:1-3—those who base their relationship with God on their heritage or hard work, instead of Jesus Christ. Paul will have none of this nonsense, and he’ll not allow us to either. And so he continues in Philippians 3:4-9 to remind us that there is no gain in this world that compares to knowing Jesus and being counted righteous through faith in him. The reality is that if Paul wanted to play the game of the so-called Judaizers, he would beat them hands down. The Judaizers held that faith in Jesus was by itself insufficient to find right standing before God; true followers had to become Jewish, receiving circumcision and following the old covenant law. In vv. 4-6 Paul lists seven examples of how his own Jewish heritage and hard work put him in optimal position to seek righteousness before God based on the flesh. Yet in vv. 7-9 he disavows it all, stating plainly that compared to knowing Christ, all the gain in the world isn’t worth what we flush down the toilet. No matter who our ancestors were or how hard we try to keep God’s law, nothing we bring to the table is sufficient to overcome our greatest problem—our sinful rebellion in the face of a holy God. Rather, it’s who Christ is and what he’s done that makes all the difference. He who did not count his status as God as something to be exploited for selfish gain, but made himself nothing, living in perfect righteousness before his Father and dying on the cross to bear the penalty of our sin (cf. Phil. 2:5-11), is the only sufficient basis for knowing and enjoying God. All other would-be saviors, whether money, power, religion, or any variation of self-dependence, pale in cheap comparison. As Paul says elsewhere, “For God has done what the law, weakened by the flesh, could not do. By sending his own Son in the likeness of sinful flesh and for sin,he condemned sin in the flesh, in order that the righteous requirement of the law might be fulfilled in us, who walk not according to the flesh but according to the Spirit” (Rom 8:3-4). Our right standing before God is not gained by exploiting our status or leveraging our performance, but by trusting in Jesus, following his pattern of self-denial and losing all things in order to gain him. Do we believe this? And if so, do we live like we believe it? Do we treat God’s grace as less than sufficient, spending our days in quiet desperation, hoping God pays more attention to our good days than bad? Do we secretly pride ourselves in our Bible knowledge or spiritual accomplishments? Do we silently plot how we’ll make it up to him each time we fail, or brood in quiet resentment over the impossible standard of his holiness? Do we withhold that same grace from others, keeping them in debt to us as they scramble under the same fear and resentment? Do we continue to hold on to things other than Jesus, not quite convinced of his supremacy or sufficiency, or hedging our bets on back-up saviors? Or do we live in the joy and freedom of knowing that our greatest problem has been dealt with, that by God’s grace we stand before him clothed in the righteousness of Christ—on our worst days as well as our best, and that through faith in him the greatest treasure this world affords is our forever? Join us this Sunday (Jan. 15) at Westgate Church in Boston’s MetroWest, to reflect on the incomparable value of knowing Jesus and being found righteous in him.